Basing the asking price on needs or emotion rather than market value. Many times sellers base their pricing on how much they paid for or invested in their home. This can be an expensive mistake. If your home is not priced competitively, buyers will reject it in favor of other larger homes for the same price. At the same time, the buyers who should be looking at your house will not see it because it is priced over their heads. The result is increased market time, and even when the price is eventually lowered, the buyers are wary because “nobody wants to buy a manufactured home that nobody else wants”. The result is low priced offers and an unwillingness to negotiate. Every seller wants to realize as much money as possible from the sale, but a listing priced too high often eventually sells for less than market value. Failing to “Showcase” the home. A property that is not clean or well maintained is a red flag for the buyer. It is an indication that there may be hidden defects that will result in increased cost of ownership. Sellers who fail to make necessary repairs, who don’t ‘spruce up’ the house inside and out, and fail to keep it clean and neat, chase away buyers as fast as you listing agent can bring them. Buyers are poor judges of the cost of repairs, and always build in a large margin for error when offering on such a property. Sellers are always better off doing the work themselves ahead of time. Over-improving the home prior to selling. Sellers often unwittingly spend thousands of dollars doing the upgrades to their home prior to attempting to sell in the mistaken belief that they will recoup this cost or they do updates for themselves and then decide to sell. If you are thinking of selling, you should be aware that only certain upgrades to a home are cost effective. Always consult with your favorite Used Manufactured Homes Resale agent BEFORE committing to upgrading your home. Choosing the wrong Used Manufactured Homes Resale agent or choosing for the wrong reasons. Many homeowners list with a Used Manufactured Homes Resale agent who tells them the highest price. You need to choose an experienced Used Manufactured Homes Resale agent with the best marketing plan to sell your home. In the Used Manufactured Homes Resale business, an agent with many successfully closed transactions usually costs the same as someone who is inexperienced. That experience could mean a higher price at the negotiatingtable, selling in less time, and with a minimum amount of hassles. Using the “Hard Sell” during showings. Buying a home is an emotional decision. Buyers like to “try on” a house and see if it is comfortable for them. It is difficult for them to do if you follow them around pointing out every improvement that you made. Good Used Manufactured Homes Resale agents let the buyers discover the home on their own, pointing out only features they are sure are important to them. Overselling loses many sales. If buyers think they are paying for features that are not particularly important to them personally, they will reject the home in favor of a less expensive home without the features. Failing to take the first offer seriously. Often sellers believe that the first offer received will be one of many to come. There is a tendency to not take it seriously, and to hold out for a higher price. This is especially true if the offer comes in soon after the home is placed on the market. Experienced Used Manufactured Homes Resale agents know that more often than not the first buyer ends up being the best buyer, and many, many sellers have had to accept far less money than the initial offer later in the selling process. Home selling is most salable early in the marketing period, and the amount buyers are willing to pay diminishes with the length of time a property has been on the market. Many sellers would give anything to find that prospective buyer who made the first, and ONLY, offer. Not knowing your rights and obligations. The sales agreement you sign to sell your property is a complex and document. An improperly written sales agreement can allow the purchaser to void the sale, or cost you thousands of unnecessary dollars. 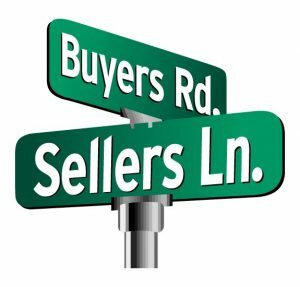 Have an experienced Used Manufactured Homes Resale agent who knows the “ins and outs” fully explain the sales agreement you are about to sign. Failure to effectively market the property. Good marketing opens the door that exposes the property to the marketplace. It means distinguishing your home from hundreds of others on the market. It also means selling the benefits, as well as the features. The right Used Manufactured Homes Resale agent will employ a wide variety of marketing activities, emphasizing the ones believed to work best for your home.